A lot of the things we use in everyday life can be renewed upon expiring – such as a driver’s license. However, the same cannot be said about some of our Earth’s natural resources. Energy is the engine that keeps us going, so let’s take a lot at a classification that tells us how reliable our natural resources are in the long term. What is a renewable resource and what differentiates it from a nonrenewable one? Read on as we try to answer your questions below. The most important aspect that makes a resource renewable is its ability to regenerate at a high rate – high enough that we won’t use it up before it has the chance to replenish. Also considered the cleanest sources of energy on our planet, these resources can be used again and again, whenever it is required. Now that we know what is a renewable resource, let’s talk about some of them and their potential for humanity. Solar energy is one such resource – there isn’t a time in the near future when the sun won’t shine anymore. Captured by solar panels and conveyed into electricity, solar energy is one of the most sustainable and clean resources we have. The fact that individual homes can install their own solar panels is definitely an advantage. However, this benefit is usually quickly dissolved by the still-high costs of manufacturing and implementation. Who can stop the wind from blowing? 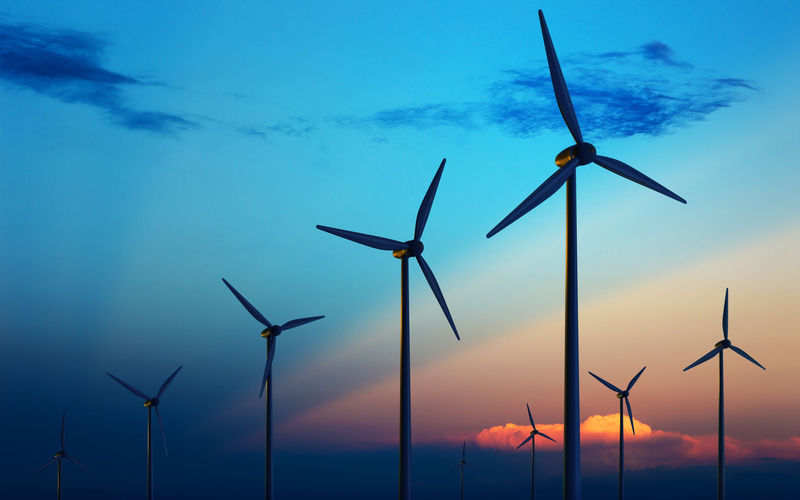 Wind turbines turn wind energy into electricity, which can then power entire cities. Wind turbines are the modern equivalent of windmills. Just like solar panels, these wind turbines can be extremely costly, and they are usually implemented together in wind farms. Also, some might argue that on-shore wind farms are detrimental to the view, spoiling natural landscapes. If there’s something we have enough of on Earth, it’s water. Through the centuries, people have learned to harness the power of water in various ways. Today, dams and hydroelectric generators are used to transform the water’s energy into hydroelectric power through. It’s also worth mentioning that dams also generate important water reserves, besides the fact that they create massive energy supplies. Just like with most other renewable resources, harnessing water can also be quite costly. At the same time, dams can cause floods and represent a danger to nearby communities. In regions where volcanic activity is common, people use the natural heat of the Earth as a resource. One of the ways in which geothermal can be used is by pumping cold water underground and using the steam that surfaces either for heating or for powering electric turbines. Iceland and New Zealand are both making use of this renewable resource. However, this natural source of potentially infinite energy has its disadvantages, too. Besides being expensive, there’s always the chance that volcanic activity might die down, which would render the geothermal facilities redundant. The number of solar power and wind energy generating stations has been dramatically on the rise over the past decade or two. Much of this has to do with new advancements in technology, which have allowed these systems to be much more effective and also much less expensive to produce. However, the increasing number of wind turbines and residential and commercial solar systems doesn’t fully explain the rise of renewable energy. For this, it’s necessary to look a bit deeper into some emerging renewable energy trends and technologies. Although most people tend to focus on photovoltaic solar power and its energy generating potential, the truth is that more and more homes and businesses are turning to solar energy to meet some of their other needs as well. One such way is through the use of solar water heaters. In particularly sunny areas, these simple systems can effectively harness the heat from sunlight and use it to provide hot water instead of a traditional gas or electric hot water heater. Solar swimming pool heaters have been in use for many years, but nowadays, more and more architects are beginning to incorporate other solar thermal systems into buildings in an effort to make them greener. When used properly, these systems sometimes have the potential to completely eliminate the need for traditional water heaters. Furthermore, more and more buildings are being designed to use radiant heat, which allows the solar water heater to actually heat the entire building to further lessen its environmental impact. The majority of solar power generated in the world is still done through more traditional photovoltaic solar panels. However, we are now starting to see more and more large-scale solar thermal power stations springing up around the globe. These work in a similar way to a solar water heater in that the heat from sunlight is reflected onto a tank in order to heat up water. The difference is that this heat is used to boil water in order to produce steam, which in turn drives a standard turbine. In a sense, this makes them a combination of a solar power station and a more traditional power plant, such as those fired by coal. These solar thermal power stations generally take up less space than a PV solar installation, which means we’ll likely see more and more of them being built in the coming years. A biomass converter is something that takes organic matter, whether it is wood, trash or something else, and burns it in order to create energy. Some countries in Scandinavia and elsewhere have been using these methods for years, and in fact, make a huge amount of money by helping other countries deal with their trash. Burning biomass does produce some greenhouse emissions, but the amount is quite small compared to traditional fossil fuels. 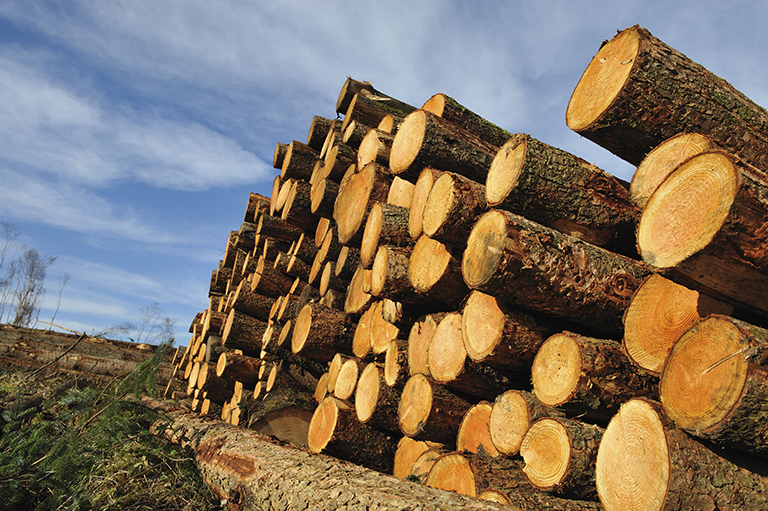 As well, since wood and other organic sources can be regrown, biomass is technically a renewable source of energy. More businesses are already beginning to take advantage of biomass converters as a way to help reduce the amount of trash they produce while creating an additional energy source at the same time, and it seems that this trend will only continue to increase as technology advances. Also known as unsustainable resources, these natural resources cannot be used forever. At the current rate, they are bound to be depleted. However, that hasn’t stopped humanity from using them almost exclusively for the past 200 years. As we learn how to use more of the renewable energy resources, we still rely heavily on these nonrenewable sources. Unlike renewable resources, these take millions of years to develop, making them seriously finite. Coal, oil, and natural gas all fall in the category of fossil fuels. The term describes the remains of ancient plants and animals that have died and have stored some of their energy in the ground. Scientists already deem that we have limited supplies of natural gas and oil resources. This factor has spurred renewed interest in discovering and harnessing renewable energy resources. While some might be slightly cleaner than others, all fossil fuels are particularly damaging to the environment. When burned, fossil fuel gives off greenhouse emissions and other atmospheric pollutants. On the other hand, humans have discovered the power of radioactive minerals – such as uranium. Mining and then refining uranium ore is an incredible yet dangerous source of energy. Also, there are limited deposits of uranium and in small quantities. 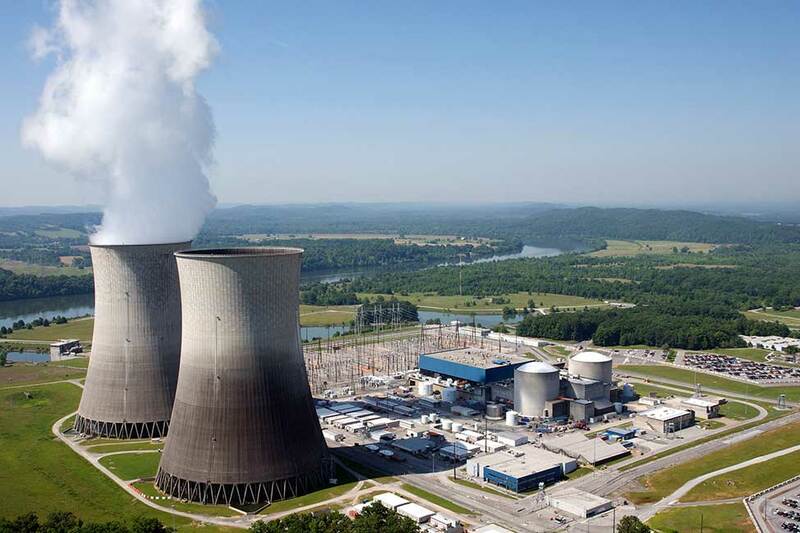 Nuclear Energy fuels are the cleanest of all non-renewable resources – they don’t give off any air pollutants. This makes them the ideal solution to the gradual depletion of non-renewable resources on Earth. In the case of some natural resources, it is only with the help of mankind that they can be considered renewable. Otherwise, they can quickly cross-over to becoming non-renewable and unsustainable resources. By definition, the term biomass refers to plant or animal waste that has decayed. Burning organic material provides energy, such as electricity, heat, or even oil, in some cases. Also, treating biomass with chemicals turns them into fuel for diesel engines. On the bright side, biomass is one of the cheapest and readily available resources we have. However, the past few decades have shown that burning biomass leads to atmospheric pollutants, such as greenhouse gasses. Also, this example of renewable resource can become non-renewable if humans do not replace it by replanting and growing crops. Burning felled trees generates light and heat. Therefore, wood is yet another resource that can be readily available for human use. Just like with biomass, however, man needs to constantly replenish this resource. Replanting forests at a higher rate than the deforestation rate is the logical solution. What is a renewable resource? What are some of the pros and cons of both renewable and non-renewable resources? Hopefully, this article has helped you understand the differences and the impact of our use of our natural reserve. There’s still hope for humanity: Through conservation and recycling, we can postpone the day when our non-renewable resources become depleted. We can also learn to harness the renewable energy resources more efficiently.